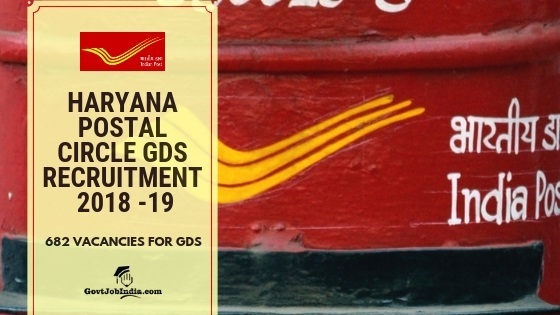 Haryana Postal Service GDS Recruitment 2018: Haryana PostOffice is looking forward to hiring capable individuals for the post of Gramin Dak Sevak by means of the Haryana Postal Circle GDS Recruitment 2018. Interested candidates will need to apply for the recruitment on the official page of Haryana Post office @ haryanapost.gov.in. The Haryana Postal Circle is offering a great opportunity for candidates who are seeking a job in the Indian Postal Service. Gramin Dak Sevaks will be tasked with the duty of delivering mail as well as office clerical work. Therefore it is expected that you have some knowledge of computers. Moreover, candidates who have passed their 10th standard can apply for this vacancy. Thus making this the ideal employment opportunity for aspiring job seekers in search of Govt job after 10th pass. 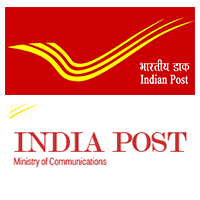 All the details regarding the Haryana Postal Circle Gramin Dak Sevak recruitment have been provided on this page. Please make sure that you go through it thoroughly before you apply online for the post. We would also like to inform you that there will e no exam conducted for this recruitment. Candidates will be purely selected based on a Merit list which will be prepared base on the candidates Qualifying Exam Marks. Please go through the official PDF for more details on Age Limit and Age relaxation. The Selection process will include a Merit list which will be prepared by the Post Office on the basis of the marks scored by the candidate in their 10th standard exam. If two candidates have equal marks then the older candidate will be given preference. General/OBC candidates – Rs. 100. The online application fees can be paid through online payment options which include Netbanking, credit card, and debit card. How to apply for Haryana Postal Circle Gramin Dak Sevak 2018? Candidates who wish to apply for this recruitment must first and foremost make sure that they satisfy the eligibility criteria. All eligible candidates are then required to register themselves on the official website of the Indian Post Office. Make sure you fill the online application form carefully without making any silly errors. Once you have filled your application form, you will require to upload a scanned copy of your passport sized photo and a scanned copy of your signature. The final step of the application process is paying the application fees. As mentioned above, you can do this through net banking, credit card or debit card. Once you have paid the application fee, your application process is complete. We hope that you have been able to gather all the information you need regarding the Haryana Postal Circle GDS Recruitment 2018 from the article presented above. We urge that you apply for this fabulous opportunity right away if you satisfy the eligibility requirements needed for this recruitment. All the best in all of your endeavors!